Comments: Used books don't have access codes, ships from U.S.A. Revised Paperback With CD! good used book, ships very fast! !, choose expedited for quicker shipping. Originally published in 1960, Summerhill became an instant bestseller and a classic volume of education for an entire generation. Now, this thoroughly expanded and revised version of the original Summerhill reinstates the revolutionary "free school" traditions begun by Summerhill's founder A.S. Neill. As American education lags behind the rest of the world, this new edition is more timely than ever. The children of today face struggles far greater than any previous generation and we, as parents and teachers, must teach them now to make choices for themselves and to learn from the outcome of their decisions. 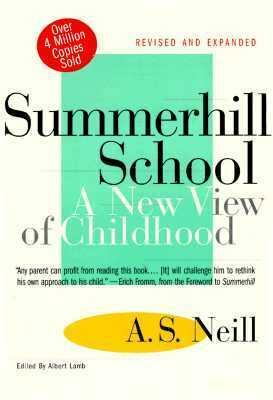 This classic work yet again invites a new view of childhood and presents an essential treatise that challenges us to rethink our approach to education.Neill, Alexander S. is the author of 'Summerhill School A New View of Childhood', published 1995 under ISBN 9780312141370 and ISBN 0312141378. Loading marketplace prices 39 copies from $3.15 How does the rental process work?